Our Luxury Gingerbread Houses are available in a variety of designs, completely bespoke to each individuals requests. They make lovely gifts, centerpieces, raffle items and corporate event pieces available in a variety of themes to suit every occasion. Christmas, Halloween, House-warming, Birthdays and more! This design comes on a 12inch base and takes up to a week to design, bake, decorate, construct and package. The option to have the house filled with your favourite sweet treats! 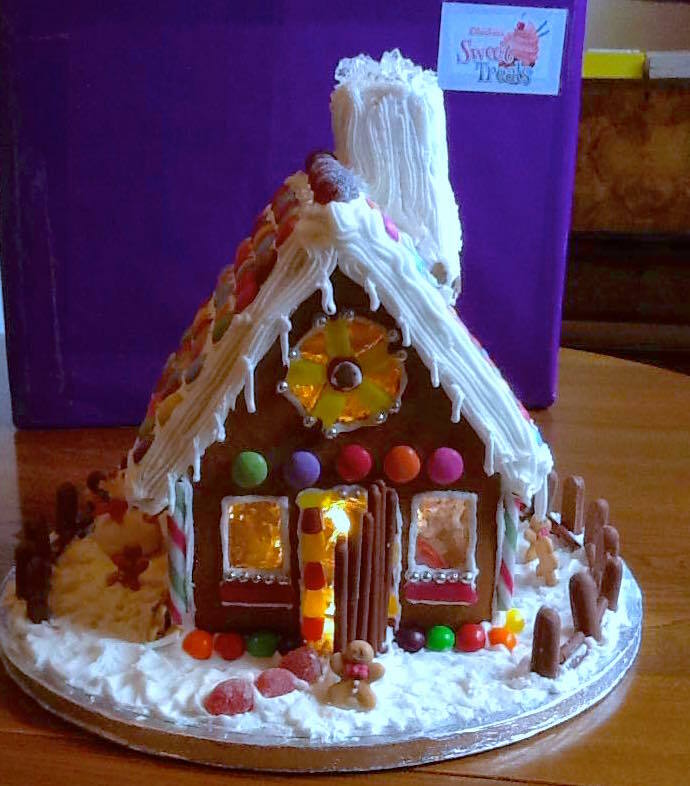 The price of our Luxury Gingerbread houses average £100 each but are dependent on your design specifications. Alicia got in contact with me from a company called BlueRubicon requesting a luxury Gingerbread House for a client event. She didn’t really have any specific requests on decoration, just that it be particularly colourful! Next Post It Just Takes Four…?